Rtint™ headlight covers give anyone the ability to update, enhance and customize one of the most visible parts of your ride for a price that’s hard to beat. Whether you choose start from the ground up and buy headlight tint film by the sheet or you prefer to use a custom headlight tint kit you simply can’t go wrong when you buy from us. An incredible selection of colors and shades are just a day away with our unbeatable one day turnaround time on rolls and precut smoked headlight covers. Choose from high-gloss smoke or matte smoke, blackout, HID blue, JDM yellow, pink, purple, green or clear protective films in both regular tint or protection film. Rtint™ headlight protection kits are fully customizable and are a great alternative to purchasing aftermarket replacement headlamps. In a matter of seconds you can select the year, make, model and shade of Rtint™ tint kit you’ve been looking for made to order and shipped the very next day to your door. It is this winning combination of customizability, speed and service that's elevated us to our position as an industry leader in the realm of personalization and modification. Along with tinting films we also offer headlight protection covers too. Made by combining quality Rtint™ smoked films with Rshield™ protection film, these kits give the style you want while providing you with peace of mind. At 8mil to 12mil in thickness these smoked protection kits are more than two times as thick as regular Rtint™ head and tail light tint film providing your headlamps with protection that they can’t afford to miss. Designed for DIY installation, our covers are easier to work with than some other brands which can be twice as thick and twice as expensive to boot. Looking for a pair of precut tint covers for your car or truck but can’t find one anywhere? Not only do we have one of the largest catalogs of smoked covers anywhere but we also provide custom design services too! How does it work? Simply choose the color of tint desired and select the year, make and model of your vehicle and checkout. We send a quick follow-up email to verify your details and, once approved by Rtint™ designers, we'll design and produce your tints be within 7 to 21 business days. If precuts don’t appeal to you there’s no need to worry—we carry a full line of tinting films used in pre-cut kits by the roll as well. Choose from both Rtint™ and ORACAL® 8300 headlight tint films and buy by the foot starting as short as 12 inches to rolls of ten yards in length. In other words, you never have to buy more than you need or run out because you didn’t buy enough. Perfect for the weekend tinter and customs shops, Rtint™ smoked headlight films are priced right for both the DIY and professional installer. Finally, like all of the products we carry our tints and wraps are always eligible to receive our Cash Back photo rebate. All you need to do to get yours is install your covers or car light wrap and then snap 5 or more high quality pics from a variety of different angles. We'll review your photos and then issue up to a $20 refund to you. So, don't walk, run to find your wallet and order now! 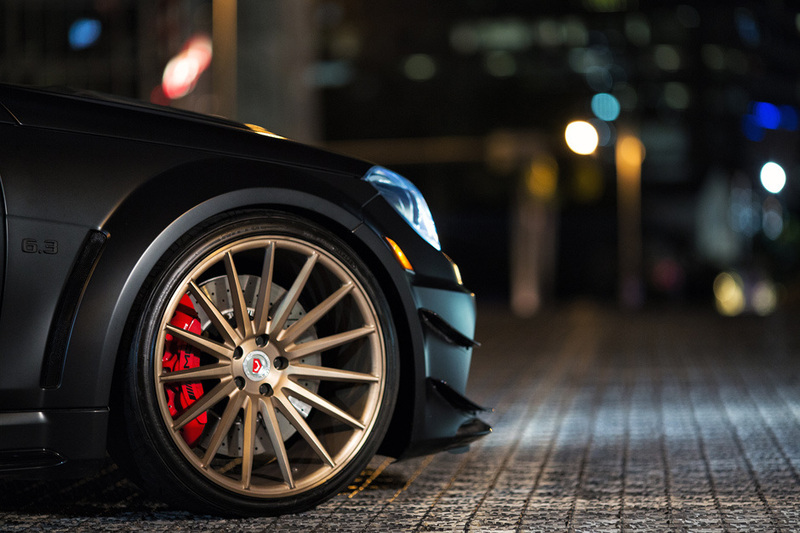 Creating a show-worthy car is all about the details. Cleaning, polishing, and waxing your car is a given, and cleaning up your engine bay is a must. But when every other car in the row looks clean, how do you get the crowds to stop when they walk by your vehicle? You have to get the details right. Adding a smoked look or a colored film gives a little touch of visual flare that shows you mean business. A smoky accent gives your car a menacing appearance to go with all that growling from the engine bay and is an easy and inexpensive way to toughen up its look. But what should you look for in a headlight tint, and what do you need to be aware of when you shop for headlight tint film? Let's take a look at everything you need to know to make the right decision. Applying tint to your headlights is rarely a standalone modification. The visual impact of tinted headlights is more of a detail than a transformation. 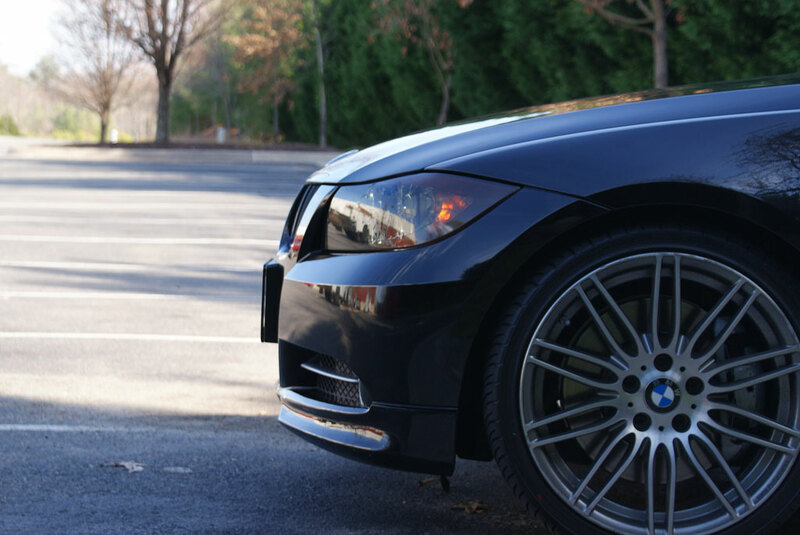 Applying a smoked tint to your headlights can give your car a mean or stealthy look. It is one of those little details that sets your car apart from the competition at a car show or meet. Colored headlights can be a thoughtful accent to your paint color, rim color, brake calipers, or any other part of your car. 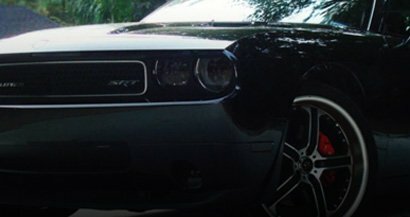 If you have been working to make your car a unique work of art, headlight tint is an oft-overlooked detail that will make everyone who walks by stop and take notice. In addition to the visual impact headlight tint film can make, it can also protect your headlights from both road debris and the dirt and grime that accumulates on headlights over the years. How many times have you seen an older car driving down the road with headlights so dirty you can barely tell they're on? Cleaning up a headlight that has gotten that dirty is no easy task, even with a proper cleaning kit. Applying a headlight tint kit or a clear headlight protective film will save your headlights from reaching such a sad state. And if your headlight film accumulates dirt and begins to get cloudy, you can simply remove it and apply a new layer. Just as with the rest of our vinyl car covering products, both the physical protection and the visual impact would each be worth the cost on their own. Getting both benefits from the same product makes the decision a no-brainer. What Types of Tint Are Available? When you think of headlight tint, you likely picture a smoked headlight tint, which creates a similar effect as window tint. 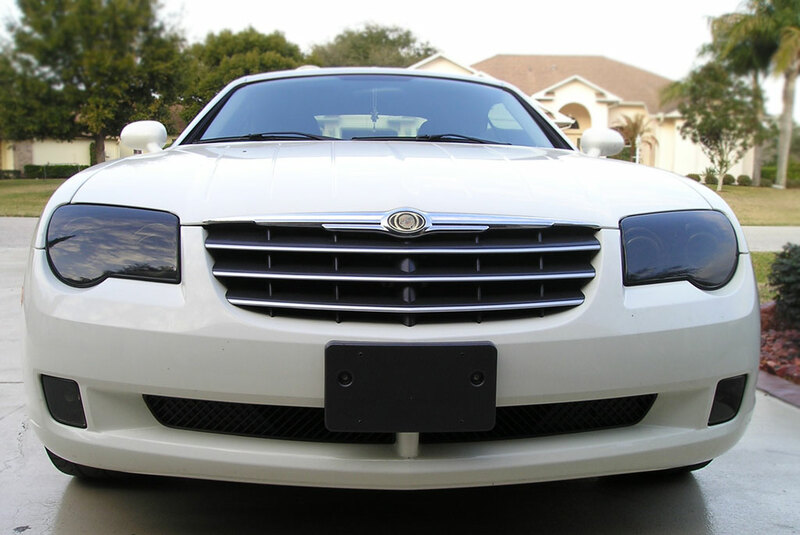 This creates a darker look on headlights, which matches perfectly with tinted windows. 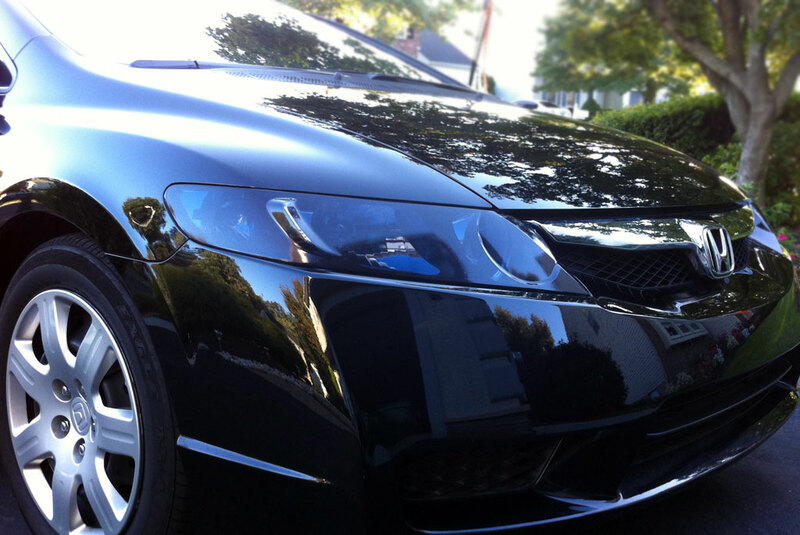 Headlight tint film is also available in assorted colors, which can give your car a completely different look. If you want to use your headlights to play off other accent colors on your car like your brake calipers, rims, or contrasting side mirror caps, you can match colors to create a unified secondary color scheme. Tint film is available in entire rolls or in pre-cut sheets designed to fit your car's headlights. Ordering by the roll will ensure that you have extra material in case you make a mistake that can't be fixed, while ordering pre-cut film takes the guesswork out of the installation process. Installing headlight tint is a difficult job that requires patience and an eye for detail. But if you have the time and want to do it yourself, you may not need professional installation. If you want to tackle this job on your own, we have resources that can help you get the best possible results. 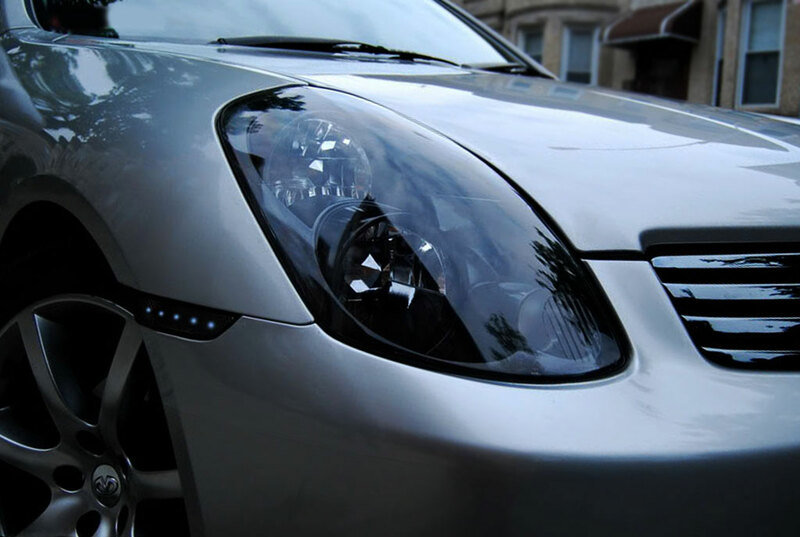 If you've installed vinyl protective film on your car or tinted your windows in the past, wrapping your headlights in tint film will be a piece of cake. If this is your first tinting project on any vehicle, you picked a good place to start. Headlights and taillights have more curves and fewer flat surfaces than body panels and windows, but the smaller real estate makes the film sheets much easier to handle. Whether you've successfully completed several tinting projects or this is your first one, there are a few things you can do to help the project go smoothly. Before you begin, clean your headlights thoroughly. Use a piece of masking tape to gauge whether the lights are clean enough to apply tint. If the masking tape sticks, you're ready to go. If it doesn't, keep cleaning. Our next piece of advice is to use quality tools. The better your squeegee and razor blade perform their functions, the better your finished product will be. If you have a steady hand and a good amount of patience, consider purchasing whole sheets rather than pre-cut film. This gives you more material to work with, so you don't have to worry about getting your tint perfect on the first try. Finally, as you apply the tint, keep both sides liberally lubricated with either RapidTac or a 10:1 solution of water and soap. Keeping both sides of the film wet will help prevent premature adhesion on the inside, and resist scratching when you begin to squeegee on the outside. Don't go overboard, but don't worry about getting the underside too wet. A good squeegee will push all of the excess moisture out from under the film as you go. Laws regarding headlight tint vary from state to state, and sometimes even by local municipality. Before installing any modification product, especially one that could affect the visibility of your headlights, familiarize yourself with local laws and understand exactly what you are and are not allowed to do. 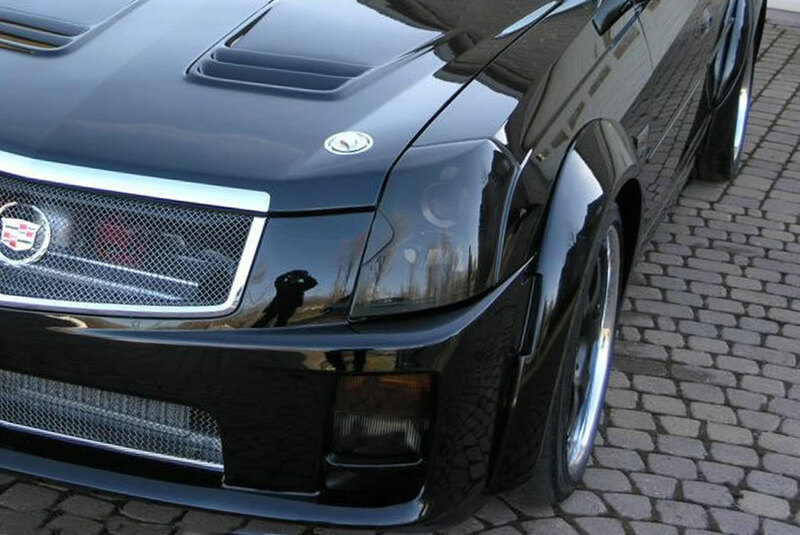 In general, headlight tinting is not a road-legal modification. As such, you will see some tinting retailers' websites advise that their products are intended for off-road use only. States don't strictly outlaw the tint itself, but in some cases, it is illegal to drive on a public road while headlight tint is installed. Vehicle window and headlight tinting laws are intended to keep drivers safe, and certain types of headlight tint can reduce the visibility of your car's headlights. As a result, we always suggest you use caution and good common sense when considering the installation of any type of headlight tint. Ignorance is no defense if a law enforcement officer takes issue with any of the modifications on your car. 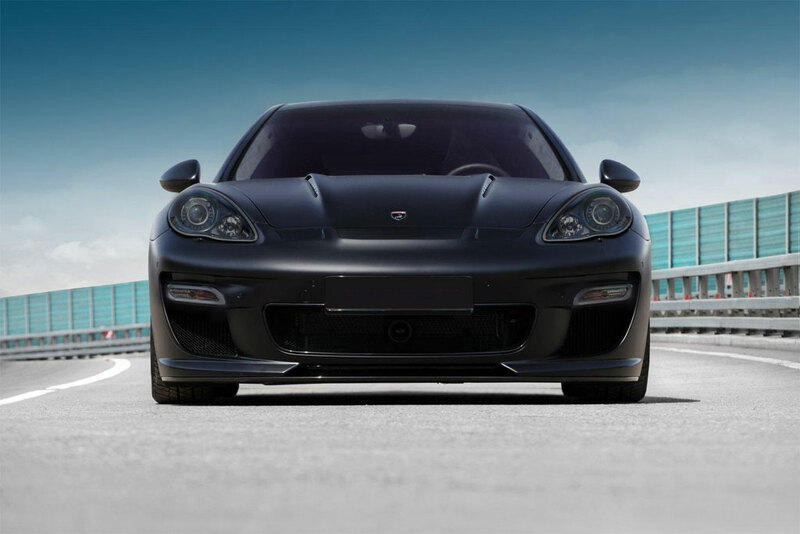 If you're ready to put the finishing touches on your ride and really turn heads at the next car show, smoked headlight tint covers could be exactly the visual modification you need. 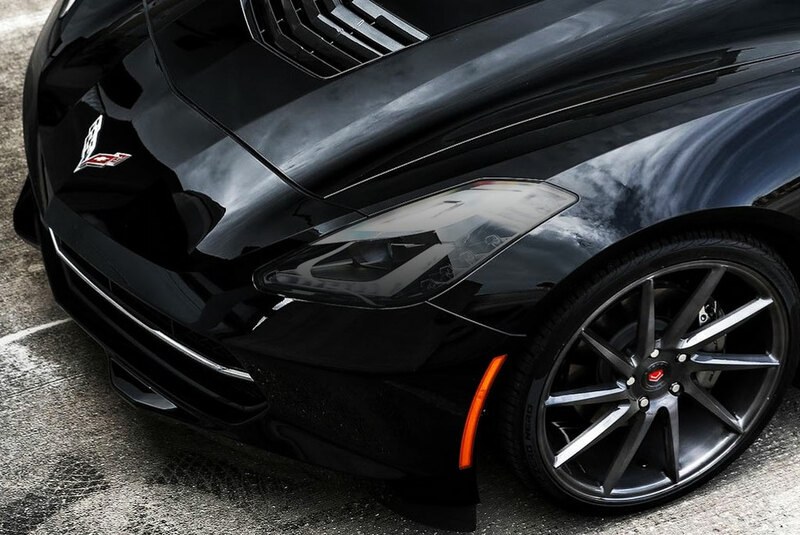 Tint film also provides the same excellent physical protection that all of our vinyl car wrap and window tint products provide to the rest of your car. If you've already invested in protecting your windows and your body panels, why would you stop short of total protection? 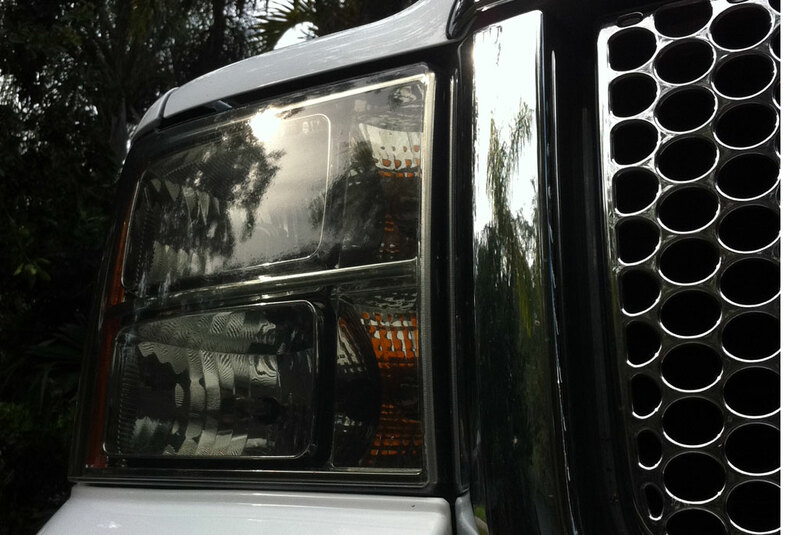 Add a product that will defend your headlights from road debris and prevent grime and dirt from clouding them up. 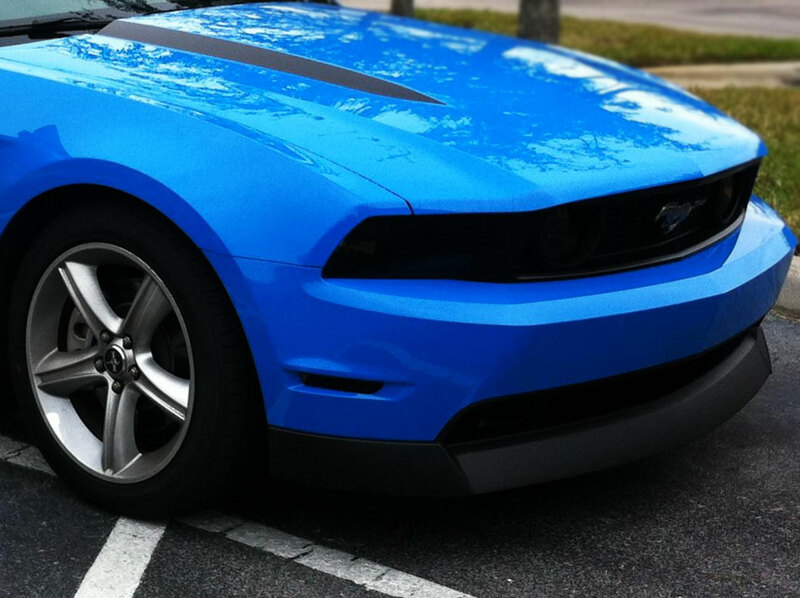 Choose between several types of smoke finish, as well as numerous colors to help accent the rest of your car's paint scheme. We offer pre-cut DIY headlight tint for practically every make and model, and whole sheets if you would rather take it to a shop for professional installation. Shop our catalog of headlight tint options today, and if you don't like what you see, reach out to us so we can discuss our custom options to fit your vision and budget. Love the product installation was a little challenging but turned out awesome. It does not fit perfectly on light. It is about an 1/8 short all the way around. Installed on a 2014 MINI Countryman. Hard to put on but looks great after ! It was great and fast shipping. I ordered the tail light and headlight film to give my pilot a more classy and sophisticated look. after the install....WOW I WAS BLOWN AWAY! This film gives the most aggressive look ever! i will definitely be coming back to shop again. Purchased both headlight and taillight tints for my 2013 Ford Edge in midnight 33%. The headlight tint was very easy to install and the cuts were pretty close to perfect. They look great as well. The tail lights in the other hand not so much, but i dont think it is a product flaw, more less just the general curvy awkward shape of the tail light. Although the film was in two pieces for which i imagine easier to install with less air bubbles, even with the taillight temived and sitting on a table, i was unable to install them and discarded the idea. Once again believe it is just the shape of the tail light. Overall i think the products are wondeful and very easy to install.